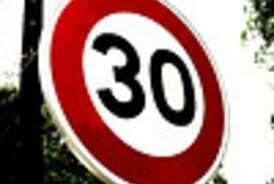 The speed watch was established in May 2010 after a number of complaints from villagers about speeding through our village. A group of volunteers have been trained by the police and have been active ever since. The speed device itself is shared by four villages – Edington, Bratton Heywood and Westbury. The issue in Edington is the lack of pavements and the numbers of young families/horse riders/walkers etc who have to risk their safety from speeding drivers. The object of the speed watch is to educate drivers to think about their speed and the prevailing speed restrictions and road conditions. The speed watch volunteers have no power to penalise motorists in any way, but we do record the registration details of any speeding motorists so that the police can contact them by letter, initially, to remind them of the purpose behind it. Should the police join us on speed watch, as they do occasionally, they do have the power to stop speeding motorists and issue fixed penalty notices on the spot if it seems appropriate. This is all about making Edington a safer place to live in. The results from speed watch are encouraging with few motorists exceeding the speed limits – it is all about the few! Since starting the scheme, 792 cars have been observed speeding at 36mph or above; the highest speed recorded was 48mph in the 30mph limit. The average rate of detecting speeders is just under 3% of the passing traffic, which is quite good and shows the effect the volunteers have on passing traffic. Unfortunately the average has a wide spread and at weekends when the volume of traffic is low, the volunteers get a 15% result on speeders. What has been of interest is the volume of traffic using our village. At peak times there can be 348 vehicles passing per hour in one direction. At quiet times the volume reduces to about 70 vehicles.